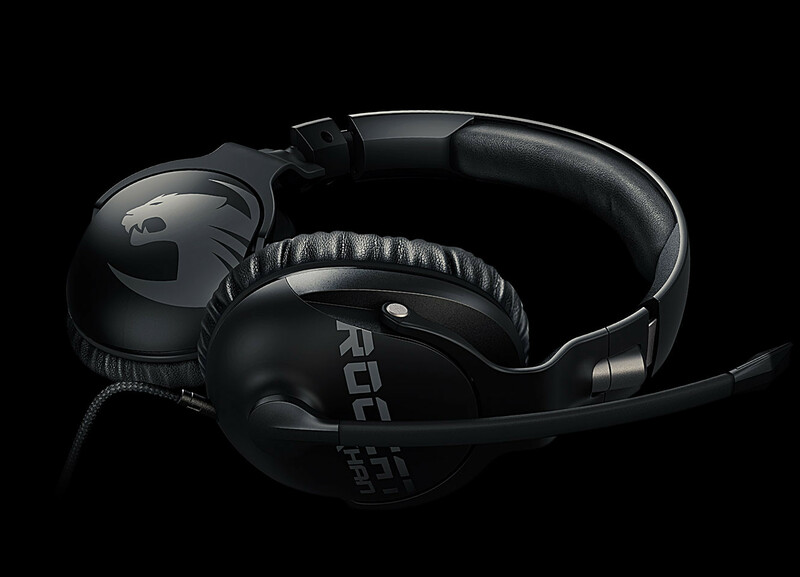 ROCCAT is proud to announce that its newest stereo gaming headset, the Khan Pro, is now available across all major channels. The suggested retail price is $99.99. 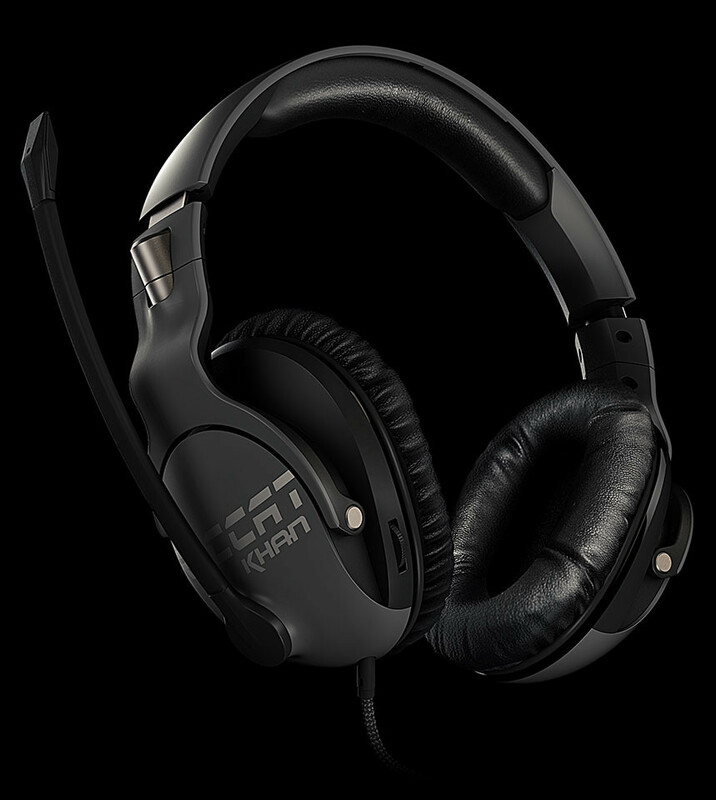 The Khan Pro is the first gaming headset in the world granted the Hi-Res Audio certificate, given only to the very best audio products on the market. With its remarkable sound clarity, the player can hear and locate any opponent long before they come in sight. With a broad frequency range between 20Hz and 40kHz, the Khan Pro boasts deep bass, rich mids and clear highs, enabling gamers to enjoy unrivalled sound. The Khan Pro makes every gamer a winner. 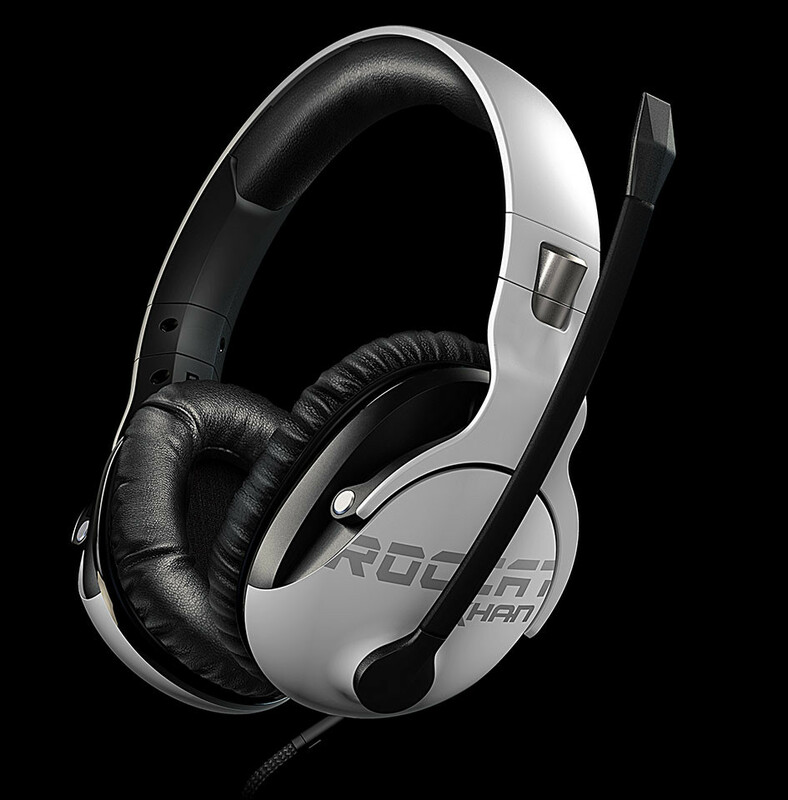 The Khan Pro also features a Real-Voice mic, offering the most natural voice transmission deliverable in a gaming headset. The microphone of the Khan Pro can pick up lower frequencies than competitors in its class. This expanded spectrum makes the human voice sound as natural as possible on a gaming headset, optimizing team communication like never before, and ensuring commands and callouts are crystal clear. The low weight of the Khan Pro in combination with its memory foam earpads makes it the perfect partner for long play sessions. It doesn't matter if you're racing for a World First Kill in World of Warcraft or the Global Elite in Counter-Strike: Global Offensive - it will never get uncomfortable no matter the duration of play. 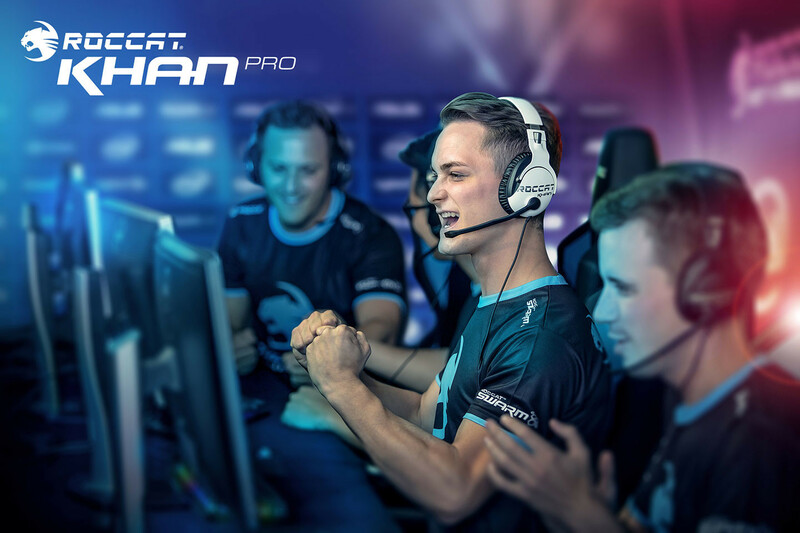 The Khan Pro is the choice for ambitious esport gamers and all those who aspire to become a better player in general. 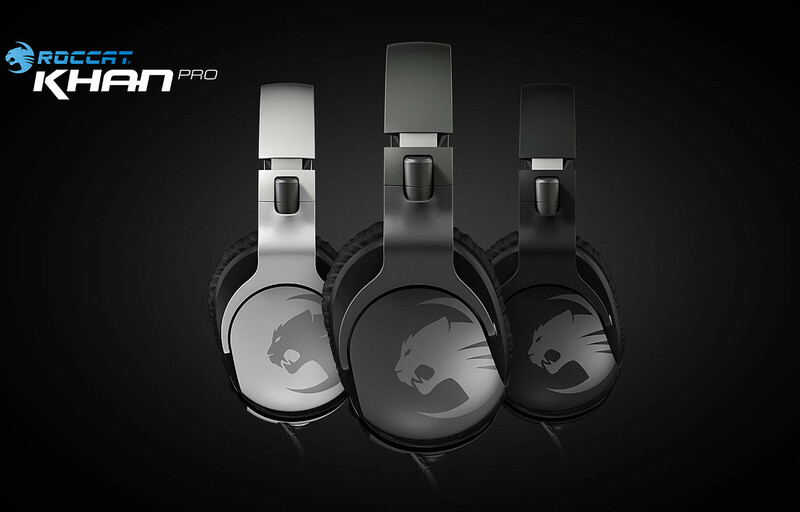 Play like a pro - with the ROCCAT Khan Pro. The Khan Pro makes every gamer a winner. So what happens when two gamers using these headsets go against each other? It truly looks like someone is recruiting the dumbest of the dumbest to come up with this release announcements. People that know a little about audio and digital signals, know the highest the human ear can go is 20kHz and they also know about Nyquist-Shannon theorem. Thus, putting 40kHz on the box rubs them the right way. Just because human ear goes to roughly 20kHz that doesn't mean we don't perceive frequencies above that level. Easiest to check that is to rip a CD music to WAV (lossless, so no loss from original quality) which are 16bit 44.1 kHz. Then downsample the original 44.1 kHz to 22.05 kHz. If that was true, you'd be unable to distinct a difference between both. And yet the 22.05kHz one will sound dull where 44.1 kHz will be crisp and detailed. As we increase that to 96kHz, differences really disappear and only people with studio experience might detect differences because they know what to "look" for. And while I'm aware of digital sampling differences, it's still essentially just that. We do perceive differences in audio even when frequencies go beyond our physical hearing range. You're mixing digital and analog here. The human ear can (sometimes) pick up the analog 20kHz signal. In order to reconstruct that signal, you need digital samples that go as high as 40kHz. That's why CDs are burnt at 44kHz: to offer perfect reconstruction of a 22kHz analog signal. Now, if you take a 44kHz CD and downsample it, you've just thrown away a good chunk of useful info. But that doesn't mean you could hear 30 or 40kHz before, it simply means the 20kHz signal you could hear, cannot be reconstructed as well as before. My point being, you CAN perceive frequencies above 20kHz. Pay attention to word PERCEIVE, not HEAR. Just because you don't "hear" it, it doesn't mean you don't sense it in one or another way. And when that's within music, you do have a different sensation. It's why studio monitor headphones go very high and they do make a huge difference with audio reproduction. Also, headphones with very wide frequency range reproduce all the frequencies differently or shall I say more convincingly in general. At least most of the time. Right, so now you "perceive" things. Try a bit harder and you can drag ESP and astrology into this discussion. Yeah, perceive, not hear. But if you want to mock it, then whatever. Puh-tae-toe Tom-ah-toe. That's like saying "ingest, not eat." If you sense the sound with ear organ, it's hearing. If you sense it otherwise, it's not hearing, don't you think? And since sound is vibration, you CAN feel it otherwise. That's where "perceive" comes from oppose to "hear". Your pohtato and tomahtoe becomes french fries and ketchup... I've done sound tests above hearing levels before and I did sense the frequencies I wasn't (suppose to be) able to hear. It wasn't a perception of sound, but a rather annoying "tingling" sensation inside the head. The closest I can describe it. I don't remember the exact details anymore. That's "perceive" don't you think? But whatever, I see no one here is really interested in real discussion anyway.